Attorney General Jeff Sessions issued a memorandum Monday clarifying the definition of so-called “sanctuary jurisdictions” for the purposes of President Donald Trump’s executive order. 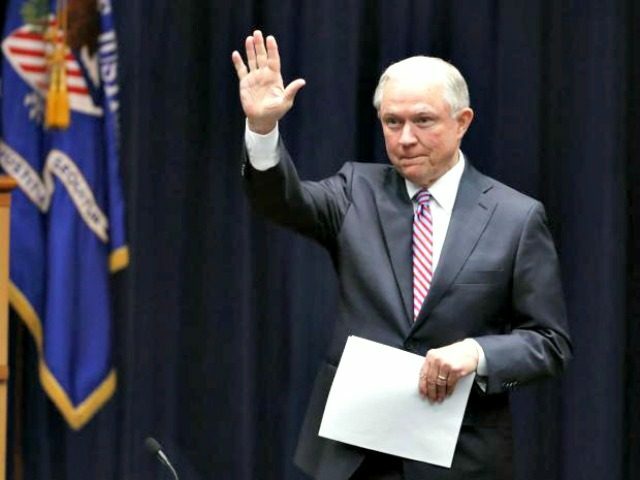 Pressuring sanctuary jurisdictions to cooperate in the enforcement of federal immigration laws has been one of the most prominent policy goals of the DOJ under Attorney General Sessions. The administration’s support for this policy was established in a January executive order. Monday’s memo clarifies the Department of Justice’s plans for implementing that executive order. In April, the Department of Justice sent letters to ten such suspected sanctuary jurisdictions, demanding they demostrate compliance with § 1373 before they receive federal “Byrne Grants” for the coming fiscal year. Monday’s memo reaffirms this policy and will require certification of compliance with § 1373 from all jurisdictions applying for not only Bryne Grants but for any of the grants administered by DOJ’s Office of Justice Programs and Office of Community Oriented Policing Services which include in their legislative language a requirement for compliance. The Department is currently embroiled in a lawsuit filed in federal court in California by San Francisco and Santa Clara Counties. The relatively narrow definition of sanctuary jurisdiction offered in Monday’s memo, and limitation to a few specific DOJ grants, comport with the arguments made by government lawyers at the preliminary hearing at which U.S. District Judge William Orrick issued a temporary order blocking enforcement of the section of the executive order concerning sanctuary cites. The ruling is based partly on the plaintiff’s argument that the executive order could be construed as applying to all federal grants. Monday’s memo makes clear that it is the Justice Department’s position that it applies only to those grants that already included a requirement to comply with 8 USC § 1373. This will support the government’s litigation strategy as it seeks to have that ruling lifted. Separate and apart from the Executive Order, statutes may authorize the Department to tailor grants or to impose additional conditions on grantees to advance the Department’s law enforcement priorities. Consistent with this authority, over the years, the Department has tailored grants to focus on, among other things, homeland security, violent crime (including drug and gang activity), and domestic violence. Going forward, the Department, where authorized, may seek to tailor grants to promote a lawful system of immigration.